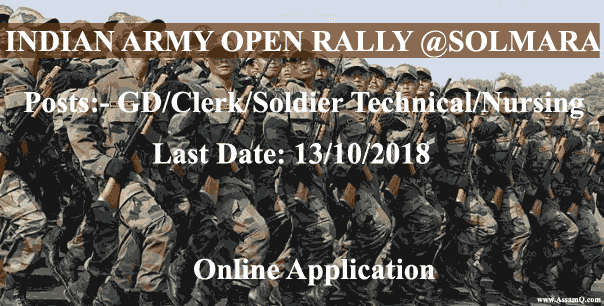 Indian Army Open Rally Recruitment @Solmara, Tezpur Registration Opens [GD/Clerk/Tradesman/Nursing/ Technical]: Indian Army Open Rally Recruitment will be held for following districts Hojai, Biswanath, Nagaon, Sonitpur & Morigaon from 29/10/2018 to 03/11/2018@ Solmara Military Stadium, Tezpur. Online registration is mandatory and will be open from 30/08/2018 to 13/10/2018. 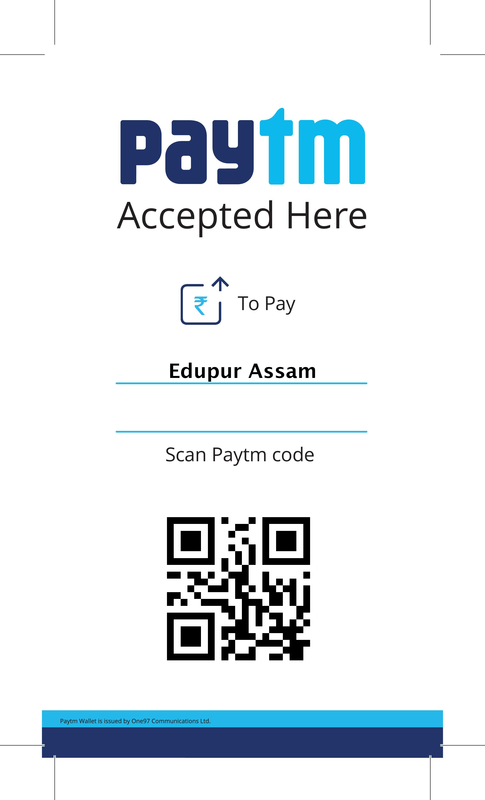 Admit Cards for the rally will be sent through registered e-mail from 14/10/2018 to 28/10/2018. Education: SSLC/Matric with 45% marks in aggregate and 33% in each subject No aggregate percentage required for higher qualification i.e 10+ 2 and above, however minimum 33% in each subject required. Education: 10+2/Intermediate Exam pass in science with Physics, Chemistry, Biology and English with 40% marks in these subject and 50% marks in aggregate. OR Candidate should be Graduate with Botany, Zoology/ Bio Science & English. The stipulation of percentage in class 12th is waived off in case of Graduates. However, the candidate should have studied all the four specified subjects in Class 12th also. Education: 10+2/Intermediate Examination pass in Science with Physics, Chemistry, Maths and English with 40% marks in each subject and 50% marks in overall aggregate. Education: 10+2/Intermediate Exam pass in any stream (Arts, Commerce, and Science) with 60% marks in aggregate and minimum 50% in each subject. Should have studies and passed English and Maths/Accounts/ Book Keeping in class X or Class XII with 50% Marks in each subject.